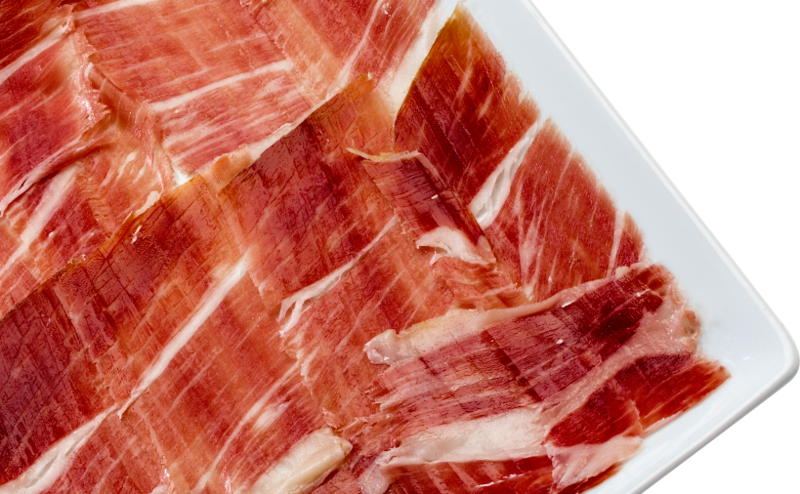 Manual cutting by our master slicers and the special packaging developed after years of research maintain the intense flavour, outstanding juiciness and incomparable aroma of the best acorn-fed ham. 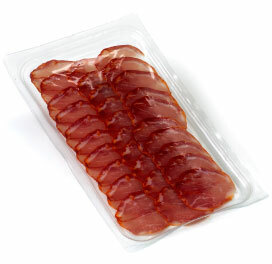 This is a unique sliced ham and package. 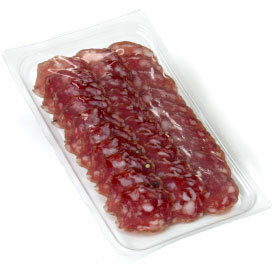 It’s like having a master slicer at home. 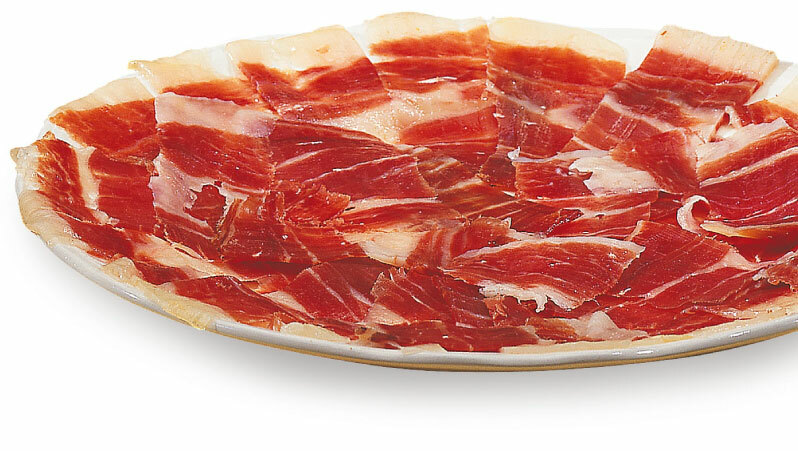 You can prepare dishes of the best ham without losing the unique texture, aroma and flavour with Cuyar’s knife-sliced acorn-fed Iberian ham. In 50, 85 and 100 gram formats. Quick and easy. 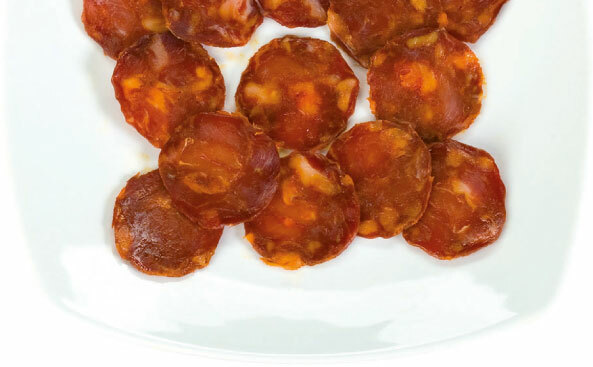 The quickest and most convenient way to enjoy the authentic Jabugo flavour. 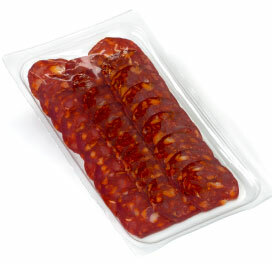 Iberian pork chorizo, salchichón and cured loin (caña de lomo). 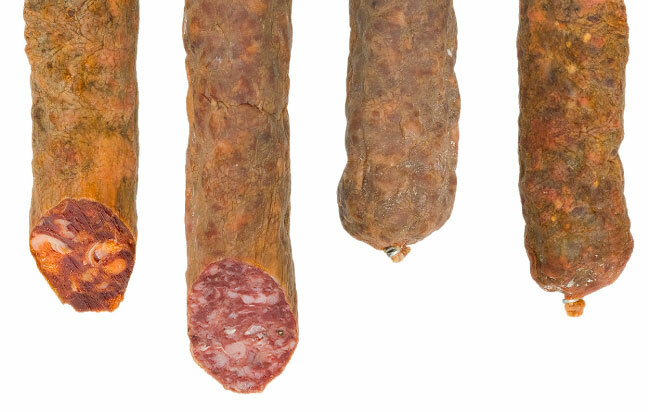 Coming soon: baked loin and Iberian pork morcilla (blood sausage).